In the Sprint 140 Update of Azure DevOps Services, you'll find a new way to customize build dependencies to your specific requirements with the introduction of container jobs in Azure Pipelines. In Wiki you can now add videos, rename, and insert a wiki table of contents from the format pane. These features will be rolling out over the next two to three weeks. Read about the new features below and head over to Azure DevOps Services to try them for yourself. By default, jobs run on the host machine where the agent is installed. Container jobs, using the lightweight abstraction over the host operating system that containers provide, let you isolate your tools and dependencies inside a container instead. The agent will launch an instance of your specified container, then run steps inside it. You can select the exact versions of operating systems, tools, and dependencies that your build requires. See the Container jobs documentation for more information. The .NET Core task in Azure Pipelines now supports code coverage so that you can get a better handle of unit test coverage in your .NET Core projects. The "test" command of the .NET Core task can be passed the arguments --collect "Code coverage" to enable code coverage collection. Support is currently scoped to .NET Core projects targeting the Windows platform. In the REST API version 5.1 (Preview) we combined several Inherited Process related APIs into a single domain. This will make it easier for you to find and consume the right endpoints. See the Process Behaviors documentation for more information. We have also created a few samples using the C# client libraries. Interacting with authenticated NuGet feeds just got a lot better. The new .NET Core-based Azure Artifacts Credential Provider works with msbuild, dotnet, and nuget(.exe) on Windows, macOS, and Linux. Any time you want to use packages from an Azure Artifacts feed, the Credential Provider will automatically acquire and store a token on behalf of the NuGet client you're using. You no longer need to manually store and manage a token in a configuration file. To get the new provider, head to GitHub and follow the instructions for your client and platform. Universal Packages are a new kind of package supported by Azure Artifacts. They provide a simple mechanism to store a collection of files in a feed with a package name and package version. The command line tooling is designed to efficiently transfer content from the client and service. Jump over to our quickstart guide to get started with Universal Packages. We have updated the Index & Publish Symbols task to support compressing symbols when they are published to a file share. 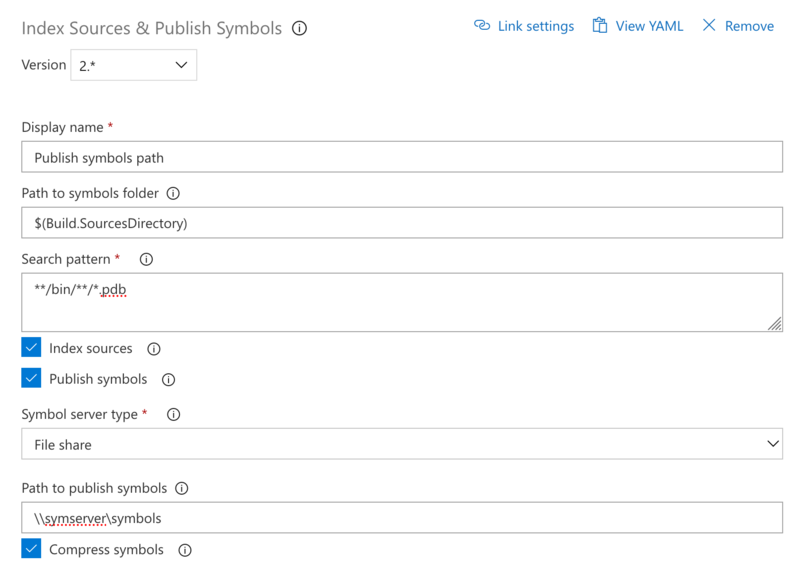 As a reminder, you can also publish symbols to Azure DevOps Services instead of having to configure and manage a file server. Now you can rename your wiki in the wiki user interface and using REST APIs. 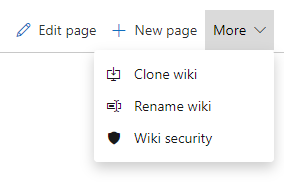 From the More menu, click Rename wiki to give your wiki a memorable name. This feature was prioritized based on a suggestion. Last sprint we shipped the ability to create table of contents in wiki pages. You can now insert table of contents by clicking the appropriate button in the format pane when editing page. 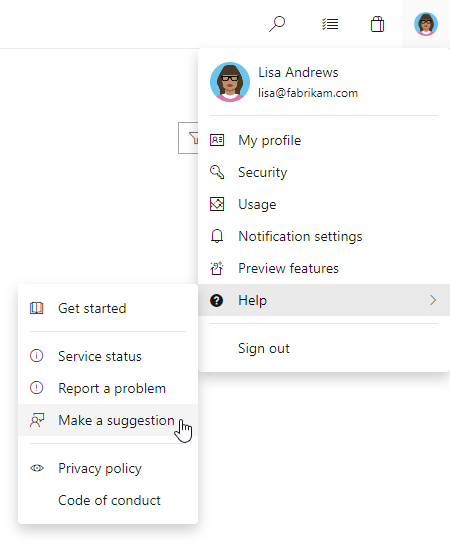 As you've noticed with the new navigation in Azure DevOps, we're focused on bringing a more consistent experience across the service. We've taken this opportunity to help you better manage your personal access tokens (PATs), especially if you have several of them. Some of the new features include filter and paging controls when viewing all your PATs, a cleaner experience when creating a new PAT with grouping and descriptions for scopes, and the ability to edit and extend the expiration of existing PATs.